The perfect solution for shopping, bargain opportunities, emergencies, and to track your travel expenses. You’ll save money with a lower rate and enjoy the convenience wherever you go. 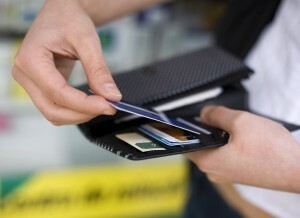 Secured credit cards are also available. Pay your credit card bill online here! Transfer Balances & Save Instantly! Every dollar counts in today’s economy. Transfer your high interest cards to a Members 1st VISA. With a lower interest rate and no or low fees, you can save money instantly. 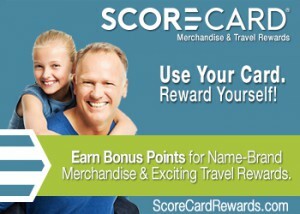 Members 1st of NJ FCU now offers ScoreCard Rewards, a rewards program that offers points for qualifying purchases. You can redeem these points 24/7 for top brand name merchandise, electronics, bicycles, golf balls, wine glasses, air hockey tables, grills, airfare, hotel stays, rental cars, vacation packages, tools, jewelry, and more. For every qualifying purchase you make using your ScoreCard Rewards Card, you earn valuable bonus points. Earn 2X, 3X, 4X & more bonus points even faster with ScoreMore. Just shop online or in store at participating retailers. New retailers are constantly being added to your favorite stores already included. Check out all of the participating retailers in the online mail and ScoreMore! Log in at ScoreCardRewards.com to access the catalog and sign up. When making online purchases, you can get added protection with Verified by VISA. After you enter your payment information online, participating merchants will require you to enter your Verified by VISA password. You create your password when you register. Your password is an extra security step to safeguard your account and purchases. Learn more about the Verified by VISA program here. You can access your Members 1st credit card statements and pay your bill online. It’s the easy and convenient way to manage your account. The perfect solution when you want to control your travel spending. Simply deposit the amount of money you want to have available. It’s the convenient and secure alternative to cash or checks. Reloadable too, plus there’s no credit check or minimum balance requirement. Learn more. Applying Is Fast & Easy! It makes dollars and sense to carry a Members 1st VISA. Complete an application at the credit union or online and start saving today.